The Public Laboratory for Open Technology and Science (Public Lab) is open for anyone and will always be free. By signing up, you've joined a diverse group of community researchers and tapped into a lot of grassroots expertise. We're excited to have your contributions! Feel free to introduce yourself and reach out to others in the community for collaborations or advice. On the first Thursday of every month, there's an open call anyone can join and actually talk to other Public Labbers. The time alternates between 12:30PM and 7PM EST, please check https://publiclab.org/events. To join, simply add your name and either Skype username or phone number at the top of https://pad.publiclab.org/p/organizers and we'll call you in. Check the events calendar to scan for upcoming activities that may be in your area. Research notes are the easiest and best way to share (i.e. open source) your work. Post a research note to solicit input, publish tests or prototypes, ask questions, or just to keep track of links and research documents. Posting is like making a blog post in that you get sole authorship credit and only you can edit your notes. Wiki pages hold our collective knowledge base. Wiki pages feature curated knowledge condensed from work documented on research notes. They can be edited by anyone with a publiclab.org account. 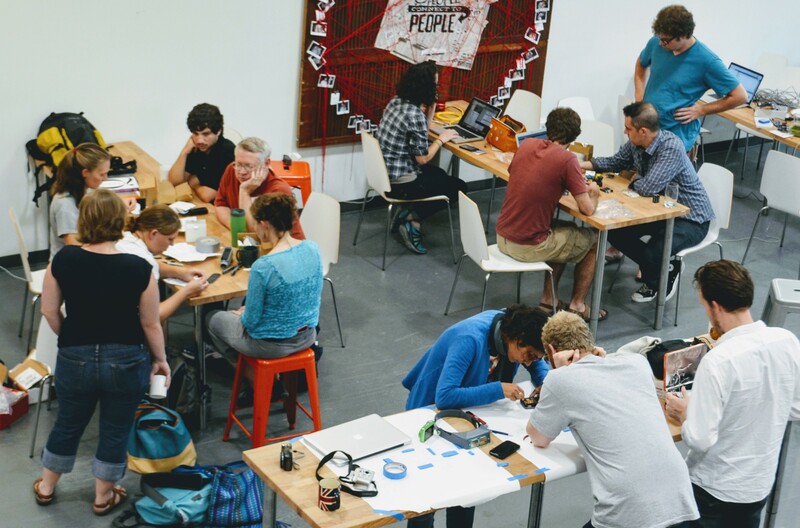 The Archive hosts open data created by Public Lab tools for all to use. Currently featuring maps in visible and infrared, the archive will be expanding to hold spectral, water quality, and other types of data generated by Public Lab tools. Also, see the glossary of terms used around Public Lab!